Wondering about finishing touches on a piece of painted furniture? Then you’re in luck because today we’re focusing on how to jazz up your furniture using 3 fabulous techniques! Finishing touches on a piece of furniture can make a big difference. Three ways we like to jazz up furniture is distressing, changing out hardware, and adding appliques. Distressing is a nice and easy way to add personality and texture to any piece. We use either a sand block for lighter distressing or even a electric sander for heavier distressing. With this oriental silk painted dresser we use the sander to roughen up the edges. Distressing also hides wear and tear of furniture. Changing out hardware can help any dated piece be brought back to life. With this Sassy Pink Nightstand we added crystal knobs. The nightstand has a matching nightstand and a matching dresser. I got the set for a steal because there were a few missing knobs. The crystal knobs added a classy and timeless feel to the furniture. Most of the knobs we get are from Hobby Lobby, but Anthropologie has amazing knobs! On the piece above we spray painted the hardware which is a cheap and quick solution to ugly hardware. 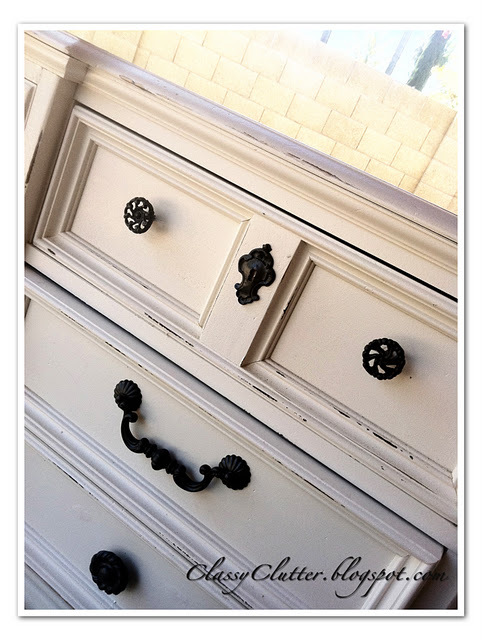 One of my favorite blogs and furniture inspiration is In the Fun Lane! Holly’s pieces always have great hardware. She finds some of her hardware at www.leevalley.com. She even moves location of her hardware in some cases. 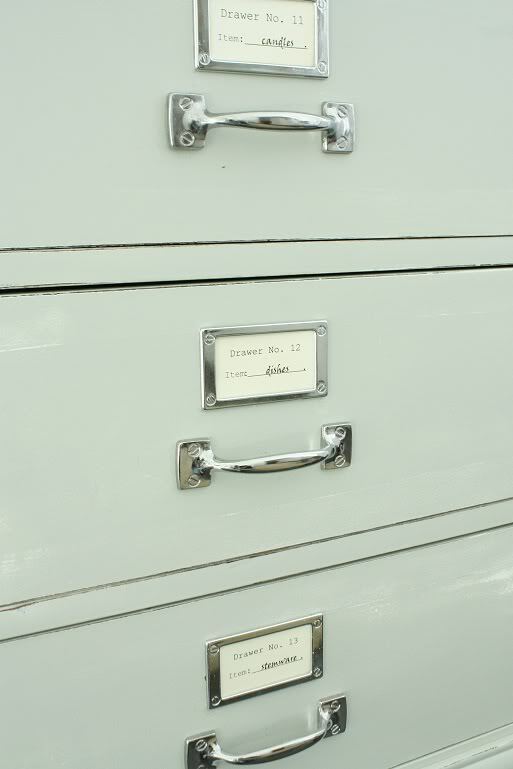 I LOVE This card catalog dresser. 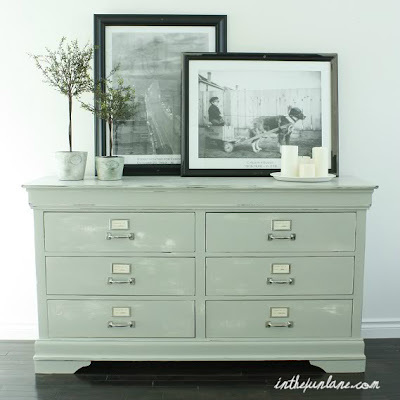 She turned a normal dresser into something extra special with hardware. Appliques are great to dress up a plain piece of furniture. 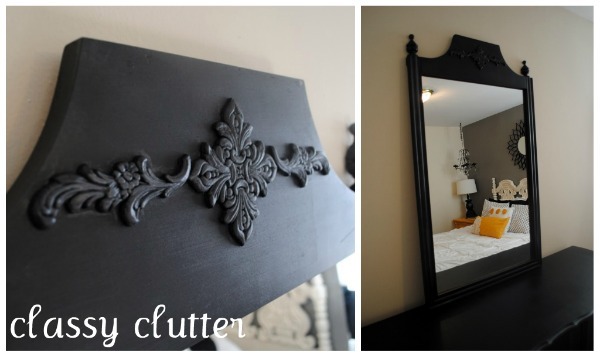 Whether it be a headboard, dresser, or even a mirror like this one. Appliques can be found at local home department stores or online. Most appliques are pretty cheap depending on the size. The possibilities are endless when it comes to jazzing up a piece of furniture. Now its your turn! Great ideas! That pink nightstand is to die for cute! Just wondering how you added the gold detail to your daughters beautiful pink dresser? Hi Shannon! We used a product called Rub ‘n Buff. You can purchase it at the link below.